Are you a coffee person or tea person? Or perhaps, just a mere mortal who needs caffeine everyday? But it doesn’t matter which side you’re on – who doesn’t like a good cup of green tea on a slow Thursday? A hot, soothing cup of chamomile tea before bed is known to give you better sleep too. I could go on listing the different types of effects different teas give but you can find this all on the Internet. However, I’m not sure what kind of effect Chicken Rice tea or Nasi Lemak tea will have. Yes, you read that right. Chicken Rice tea. 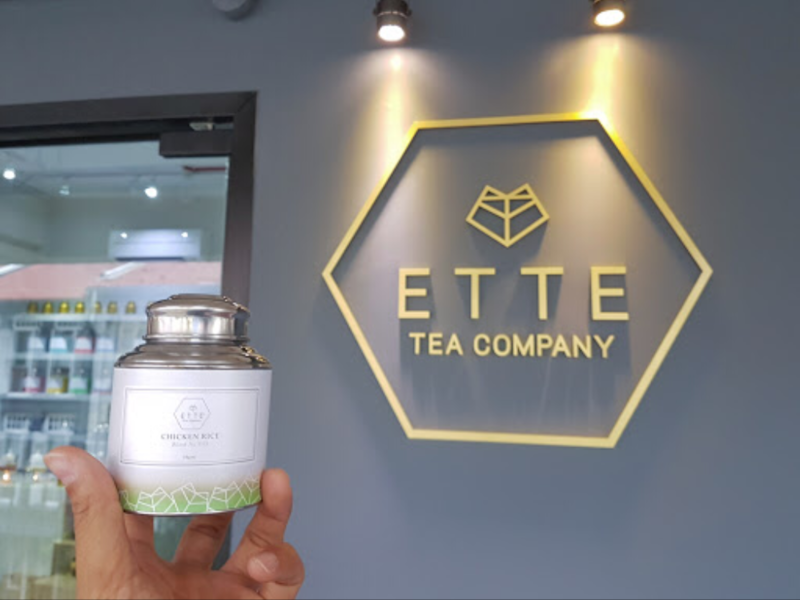 Victor Koh, is a tea blender and the tenacious entrepreneur behind ETTE TEA. 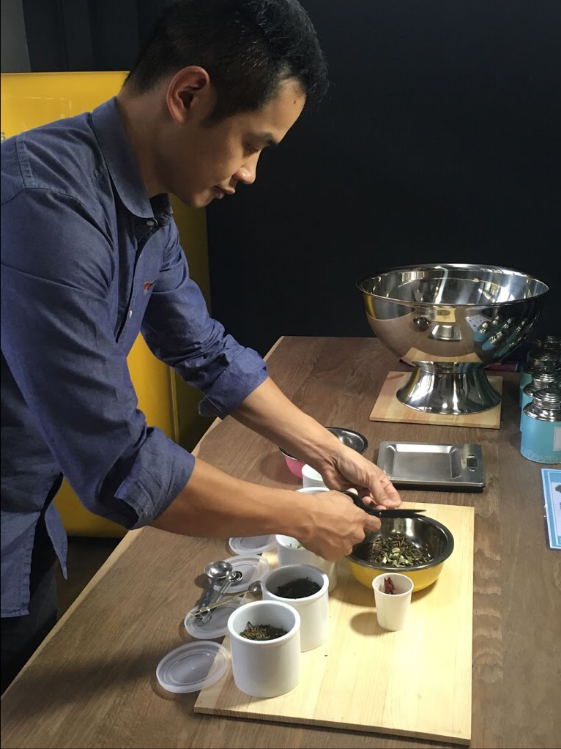 He was in the midst of a career change and was in between jobs when he created his first tea blend, the Pandan Chiffon. He blended it in the kitchenette (-ette…get it?) of his home, hence the name of his business, ETTE TEA. He started posting his creations and ideas on Instagram and received a lot of response, which led him to start his own company in December 2014. As a true blue Singaporean, food has always been an integral part of my life growing up. But my interest in F&B took to greater heights in 2006 when I first joined Singapore Airlines as a flight attendant. Victor left the airline in 2010 and went on to study hospitality and hotel management. He spent six months in Singapore and one year in Switzerland for his Bachelors, graduating with First Class Honours from the IMI University Centre in Lucerne. 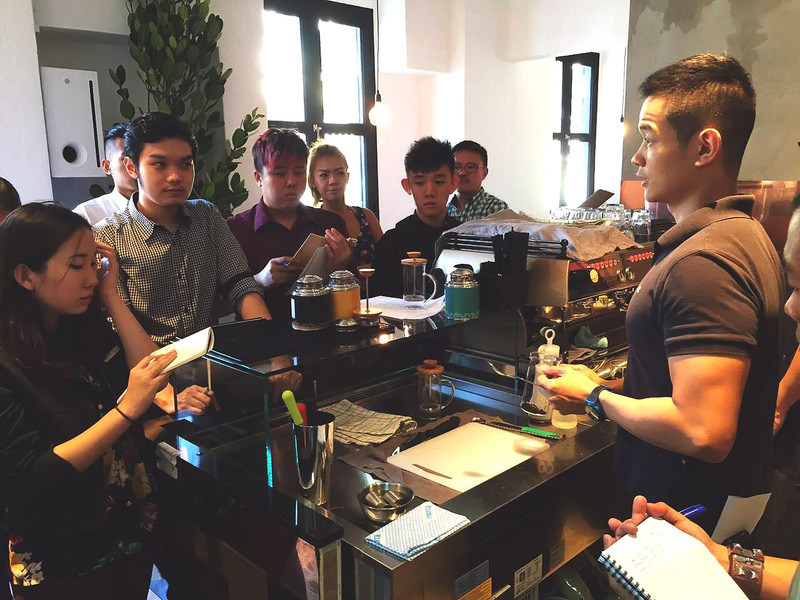 When he returned to the Lion City in 2012, he joined a local tea company where he started to deeply study the art of tea. It also helped that he had a “very sensitive and varied palate”. 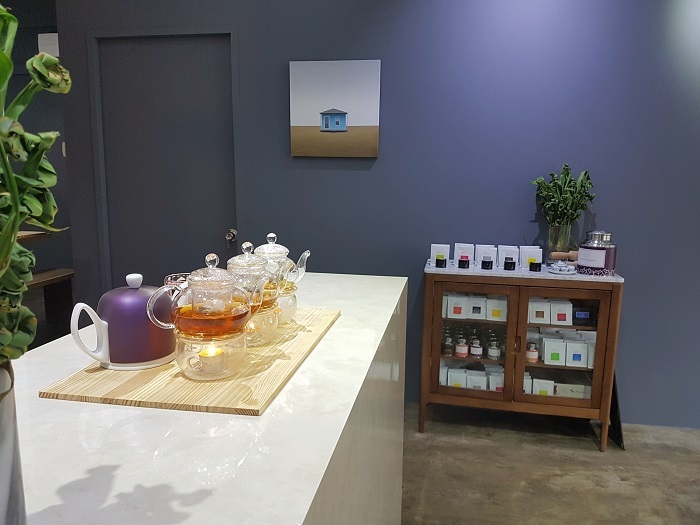 The 34-year old tea specialist then invested a relatively low sum of $5,000 to start ETTE TEA, but he revealed that it has “grown by manifold through additional equity and loans”. One of the most common question he got was the big ‘Why?’ from his family and friends because of how competitive the market is. 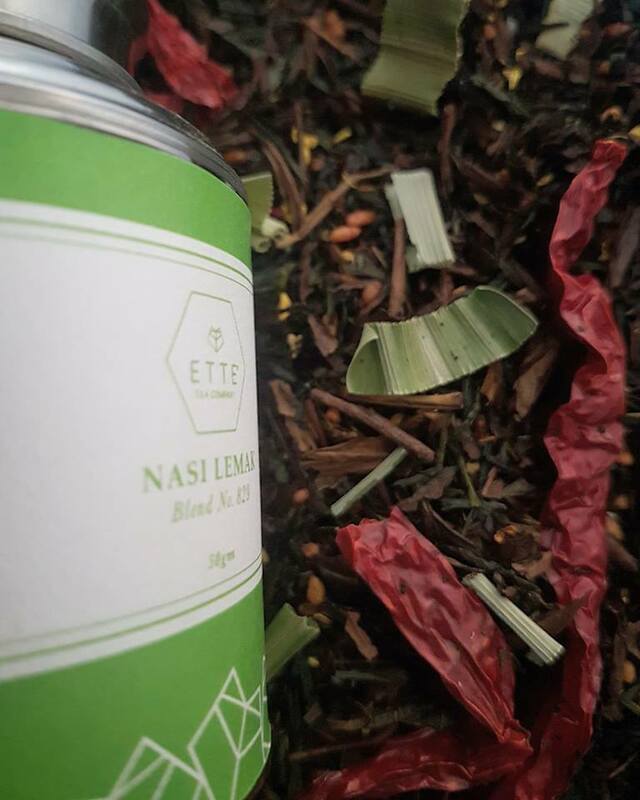 Despite that, he believed that ETTE TEA can stand out with its local blends like Nasi Lemak and Chicken Rice. But he acknowledges that it is not easy for people to accept these flavours. He added that he has to explain that his products are “tea blends made with tea leaves and natural vegan ingredients”. “In the first two years of the business, I have one new tea every month. So we have garnered a strong portfolio of flavours by now,” he explained. Customers have requested for bespoke tea creations and he said that they take a more moderate approach to introduce new blends. 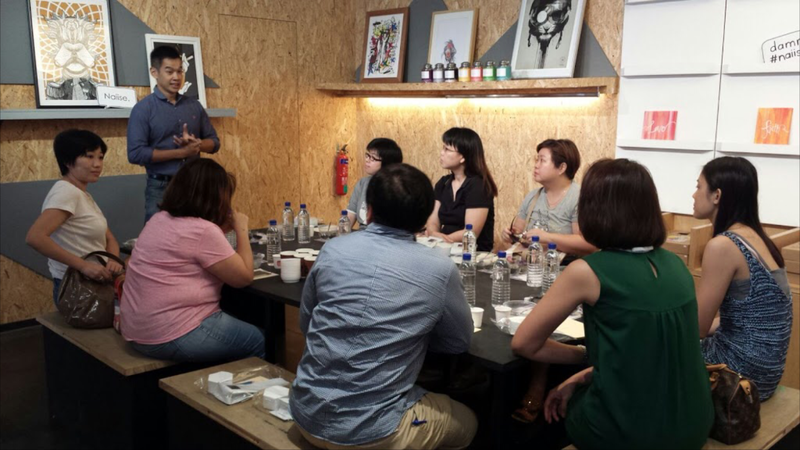 He revealed that he is currently working on two new local-styled tea blends: a Satay-inspired tea and a Bak Kwa tea. But what if a Muslim customer wishes to purchase tea, but decides not to because they think it is not Halal? 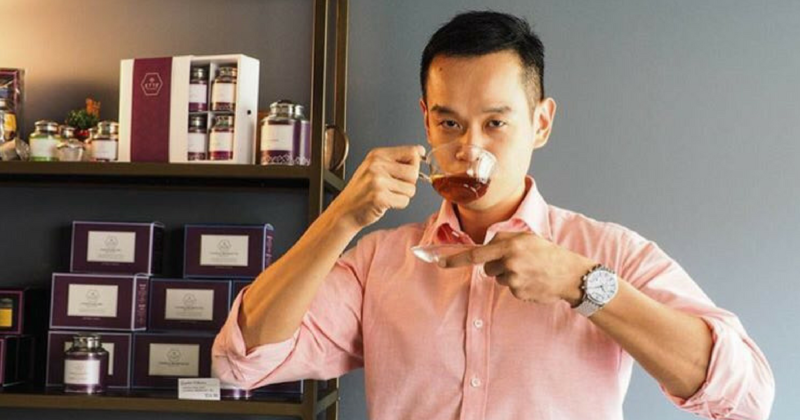 His response to that is that his range of food-flavoured tea blends are 100 per cent vegan, but he understands that the name, Bak Kwa tea, may deter Muslim customers. “I may have to adapt the name of this particular tea,” he mused. To clarify, I do not use any form of meat, alcohol or its derivatives. The natural amino acids that are in abundance in tea, especially steamed green tea, lends its meaty flavour for the Chicken Rice tea, for example. For Victor, a typical day at work sees him in the tea shop before 10.30am. He will then put on the kettle and brew some tea. After that, sometimes a series of tea blending experiments and batch-tasting will take place. On top of attending to the tea shop’s walk-in customers, he sometimes has client meetings to attend to. His usual lunch spots can be at the Chinatown hawker centre or the kopitiams in the vicinity. It’s convenient that his tea shop is located centrally and many of ETTE TEA’s cafe and restaurant customers are within walking distance. When the day draws to an end, he finds the time to answer emails while enjoying a cup of evening tea. He usually takes caffeine-free tisane because he is sensitive to caffeine and theine. For those of you who were wondering what tisane is, I did the research. Tisane (pronounced as ti-zahn according to this article) is like herbal tea, but not the liang teh (Chinese herbal tea) you see that are sold in the heartland shops. Ingredients are more plant-based, using leaves, bark, roots, berries, etc. and steeping them for four to 15 minutes in hot water. Tisanes contain no caffeine at all. Tea leaves are sourced from major tea-producing regions like China, Japan, India, and Sri Lanka. Victor personally sources the tea leaves by taste as they need to “fit the flavour construct” of his blends. 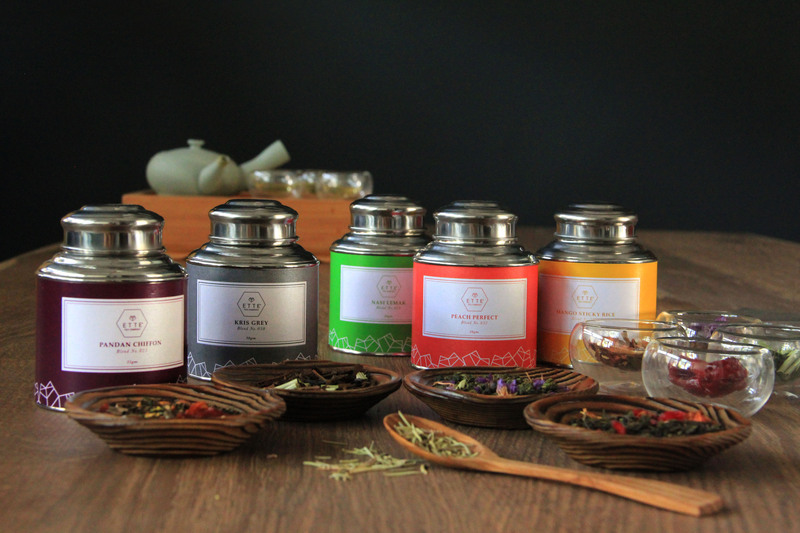 The meticulous founder/master tea blender concocts all of his creations by hand – no machines at all. On top of his day-to-day running of his business, Victor also conducts tea-blending classes. By definition, tea-blending is the process of putting different teas together to form a consistent taste. There are various blending methods like, scenting, inclusions, liquid flavouring, and the combination method. For ETTE, he said that he uses the combination method, “using scenting and inclusions (direct adding of fruits or herbs to tea leaves)” to construct the Chicken Rice tea, for instance. His expertise and knowledge impresses me very much, which already makes me a willing customer. But sometimes, not everyone is as easy to excite. When asked about the difficulties he had faced, he said that “everything could go wrong” and that running his business “is a 24/7 job” with no rest day. People expect him to be on standby even when he is on holiday. However, he counts his blessings, saying that even though it is not always easy for him, he is proud of his achievements, so far, with ETTE TEA. Before I left him to steep with his thoughts, he agreed that it is not easy to start his own business. Even though I started ETTE TEA with Instagram in the early beginnings, running a business is not like a beautiful gallery of an entrepreneur’s profile. There are fun times and definitely rewarding times, but running a business or working in a large organisation requires discipline, tenacity, and humility. There is no short-cut, and you will learn a great deal of wisdom the hard way. 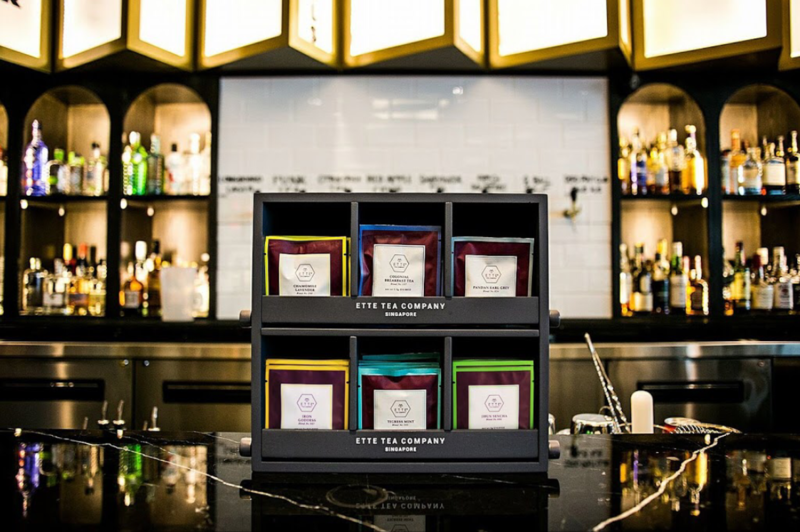 Get delicious hand-blended tea leaves by ETTE TEA here! Follow them on their Facebook here and their Instagram here.